Greenscape Inc. is seeking an energetic, goal-oriented leader to fulfill the role of Branch Manager in Holly Springs Branch. The ideal candidate is highly motivated, outgoing, and a great communicator with strong time management skills and an eye for innovation and process improvement. This individual has a solid background in all aspects of the landscape industry. 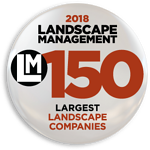 Are you a determined landscaping professional with an interest in further enhancing our company culture through safety, communication and process? Five (5) plus years of experience in a progressive supervisory role in the landscaping industry is REQUIRED.